If you’re a food lover who has never dined at a Middle Eastern Restaurant, it is every bit as much a cultural experience as it is a food experience. 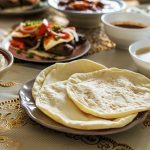 Dining in an Arabic restaurant may be a bit different than what you are used to but it can be an incredible experience if you are open to it. If it is your first time then here are some tips for dining in a Middle Eastern restaurant. Most restaurants will offer some of the more traditional dishes that you will find across the region. Some of the dishes you want to try will be Briyani, a mixed rice dish served alongside chicken, lamb or beef. It is made with basmati rice and lots of Middle Eastern spices. If you are looking for a meat dish to go with your Briyani then you might want to try kebabs. Kebabs have spiced meat on a skewer either by itself or with vegetables. You can have them with almost any kind of meat, however in the Middle East they will be made with lamb. To finish the meal you’re going to want to try Baklava, a succulent sweet pastry filled with pistachios and other chopped nuts. Middle Eastern restaurants typically go for a degree of authenticity so you’re going to find some of the traditional décor from the area. You will find warm colors that represent the desert and soft lighting. This is meant to give you a little slice of the Middle East and create a more authentic dining experience. Alcohol is not part of the Middle Eastern culture so no one is going to recommend a good wine to complement your dinner, in fact alcohol probably won’t be on the menu. They will serve several different types of tea and the choice of sparkling (mineral) or still water. If your party has never eaten this type of cuisine before then you might want to try a bit of everything. Order a heap of appetizers that you can all share and it will give you the traditional snacks that you would find in the Arab world. 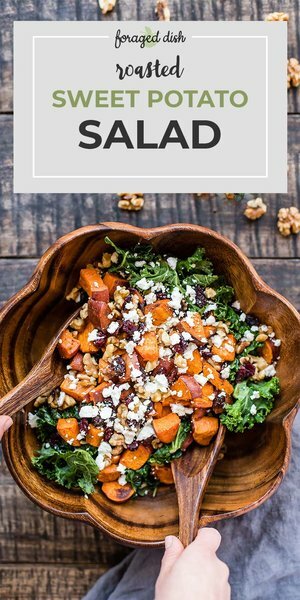 Ask your server for recommendations they are more than happy to share some of their personal favorites with guests. 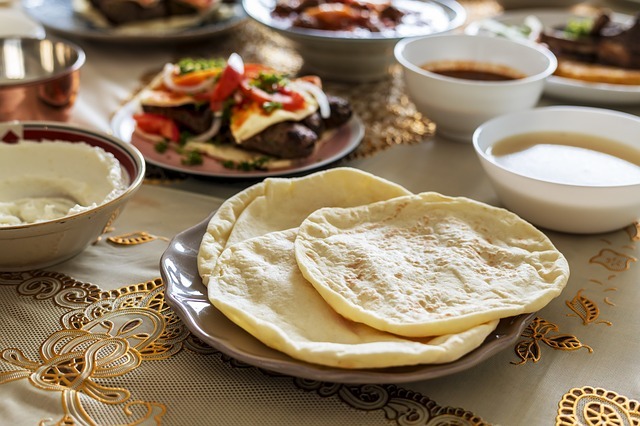 Dining at a Middle Eastern restaurant is an incredible experience offering a wide variety of flavors and dishes that will satisfy even the pickiest of palates.